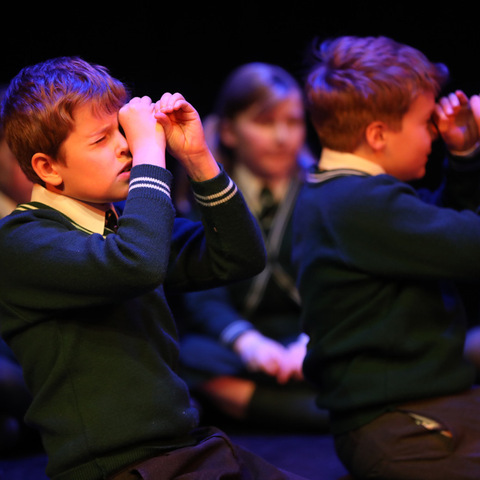 Greenfield School pupils put on a unique performance at The Electric Theatre in Guildford last Friday. 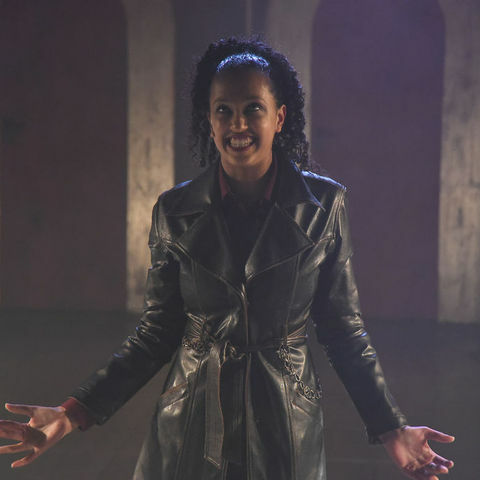 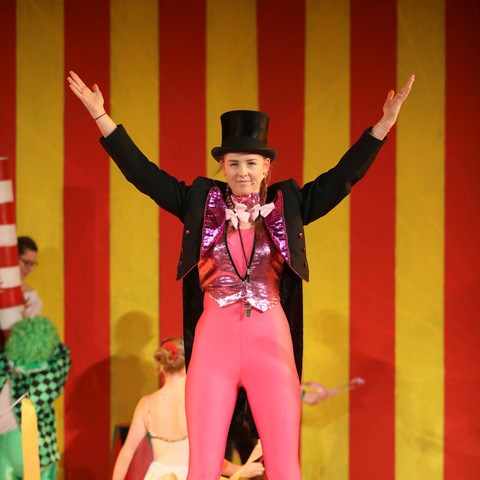 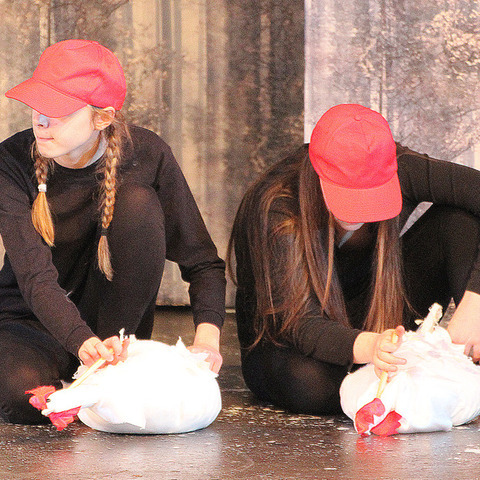 The production combined moving narration and stories based on the pupils’ ancestors who fought in World War I, along with ballet, mime and singing. 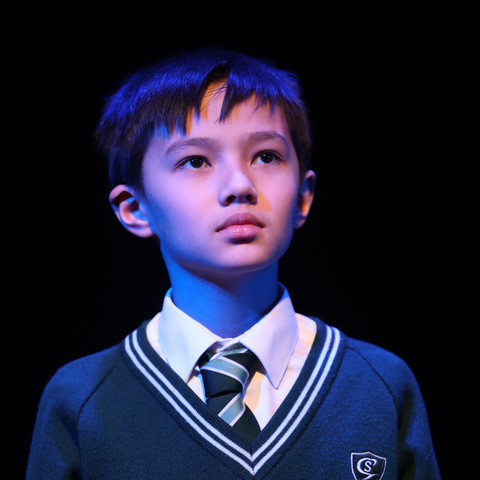 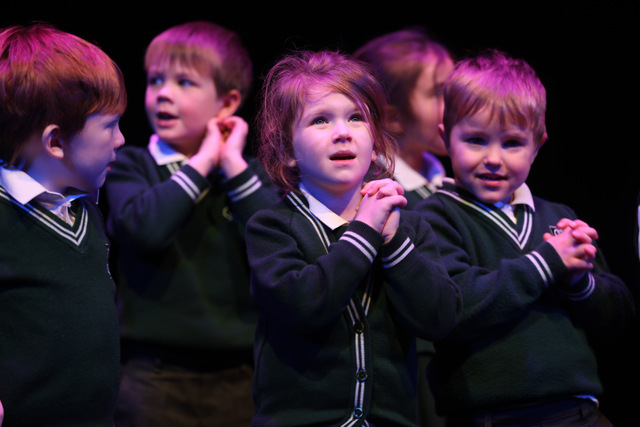 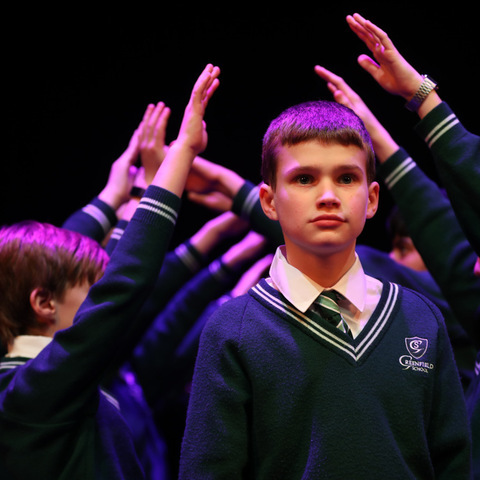 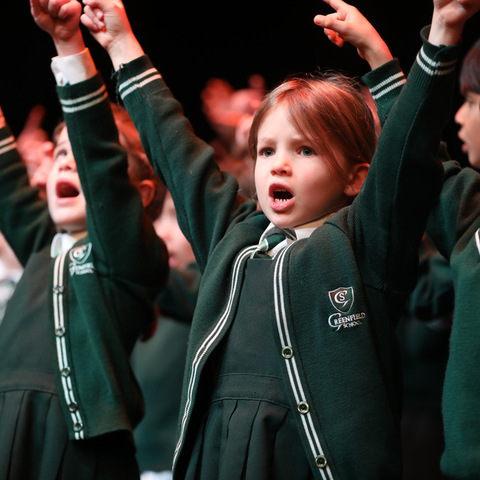 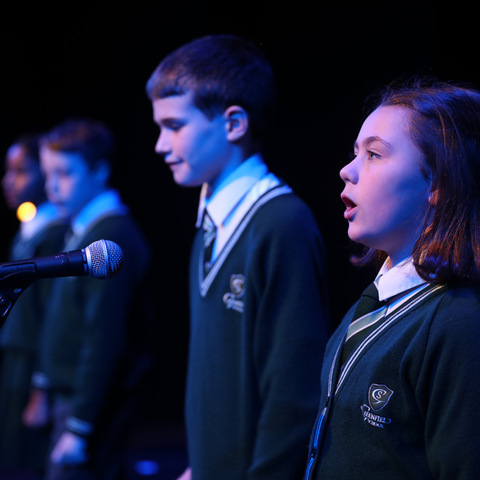 On Friday 1st February, pupils from Greenfield School in Woking descended upon The Electric Theatre in Guildford, where they put on a very special one-off performance to a packed-out crowd of parents and special guests. 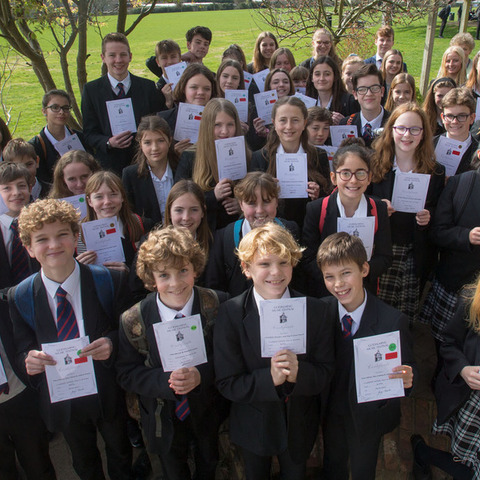 As part of their Drama and English work on the subject of WWI, some of the children had written pieces of poetry about life in the trenches. 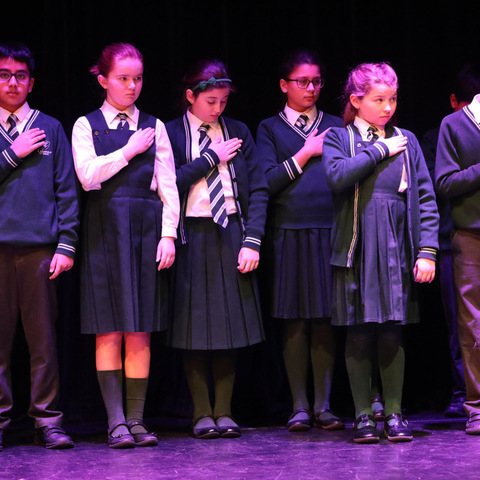 Four of these poems were skilfully performed by groups of Year 5 children, who recited them from memory whilst others performed actions to bring the stories to life. 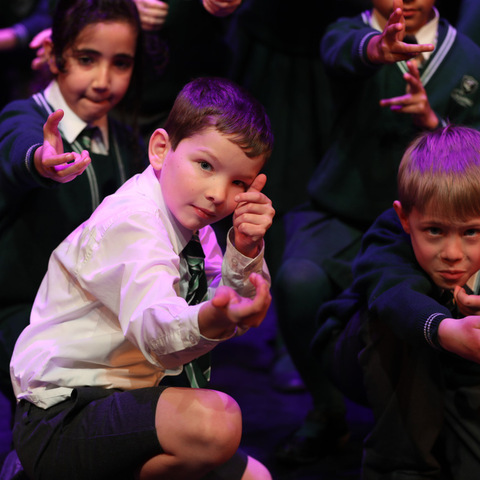 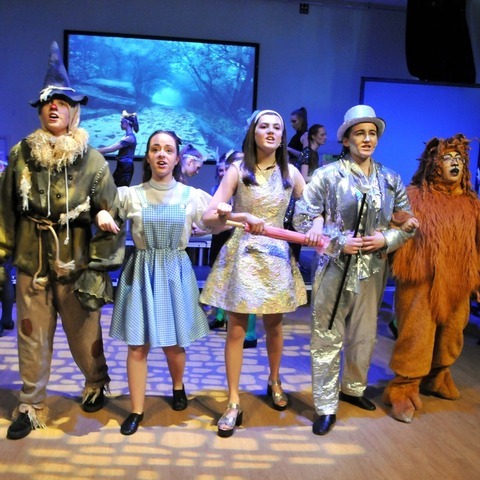 It has been a fantastic year at the school for the Performing Arts Department, with 4 music scholarships, 2 drama scholarships, awards in Drama and trumpet and an offer to join the prestigious Sylvia Young Theatre School accrued by Year 6 pupils so far. 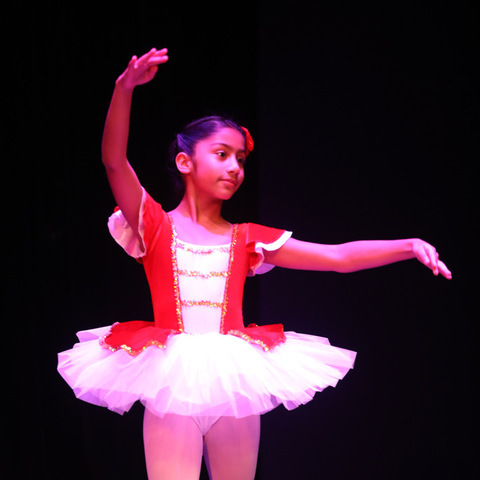 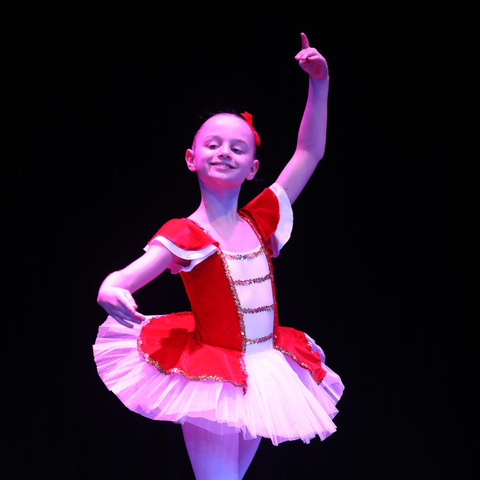 Some of the younger children clearly have their sights set on similar ambitions, as Year 4 pupils Sanika Das and Abbie Styles, along with Year 2 pupil Anna Reeve, performed a beautiful ballet named “Pride of the Poppies” as part of the commemoration. 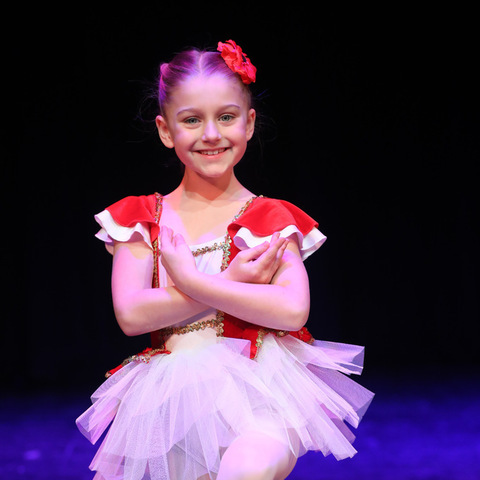 The elegant dance allowed the audience a moment of reflection in amongst the emotional performances. 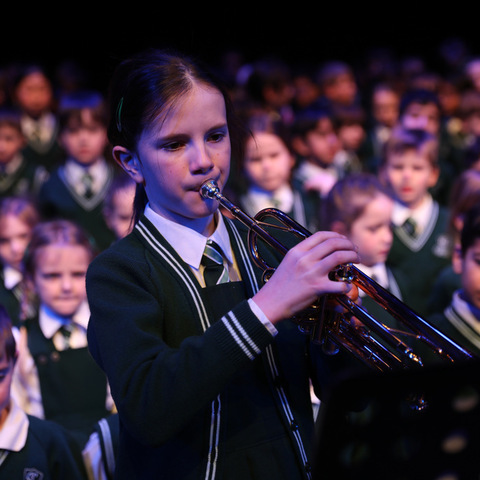 After an exceptional rendition of the last post by Year 6 pupil, Louisa Rigby, the whole school gathered on stage for a final scene marking the end of the war. 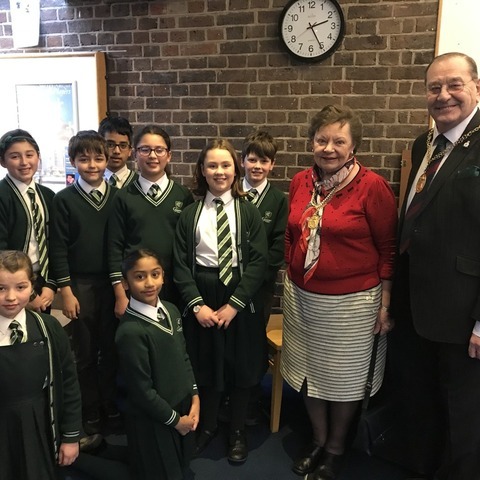 The School was honoured to be joined by The Worshipful the Mayor of Guildford, Councillor Mike Parsons, and The Mayoress, Mrs Jean Parsons. 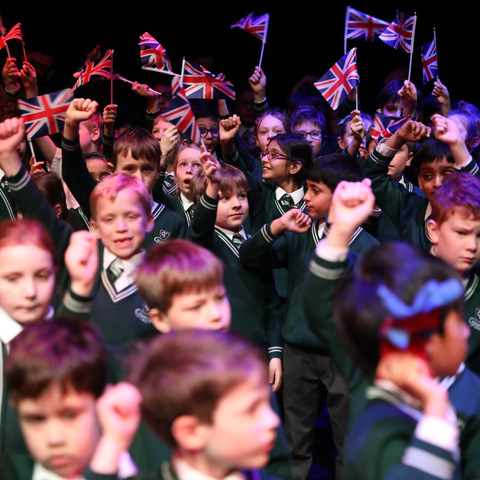 The Mayor commented that he felt the tone of the performance was “just right” and that he and The Mayoress thoroughly enjoyed the performance.